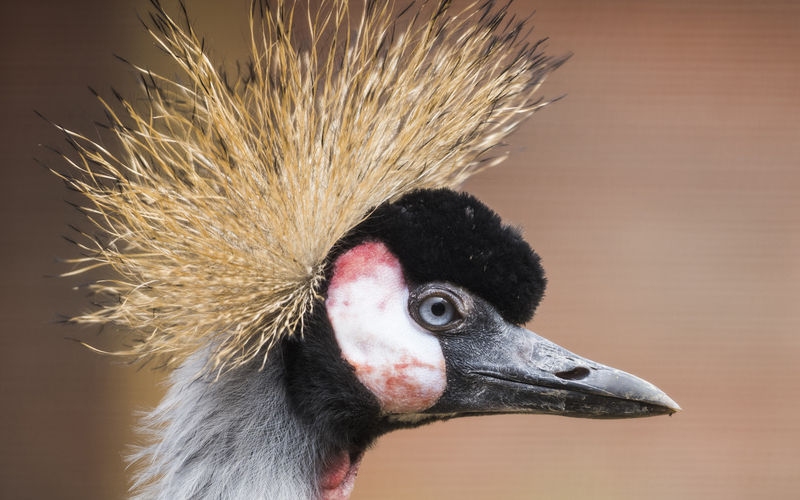 The grey-necked crowned cranes comprises two sub-species, the South African crowned crane and the East African crowned grane, the latter of which we have at Wild Place. Despite their characteristic grey body plumage, the grey-necked crown crane has a variety of different colours including white wings (up to 2 metres in wingspan), a bright red inflatable throat pouch and a crown of golden feathers. The cranes are omnivores eating plants, seeds and grains as well as frogs, snakes, worms, small fish and the eggs of water animals. They predate by wading through water in order to reveal potential prey and food. The species are native to Uganda, the east of the Democratic Republic of Congo and from Kenya to the eastern region of South Africa. Their habitat typically consists of grasslands, marshes and flooded fields found in these regions.